Today it's Technique Tuesday!! 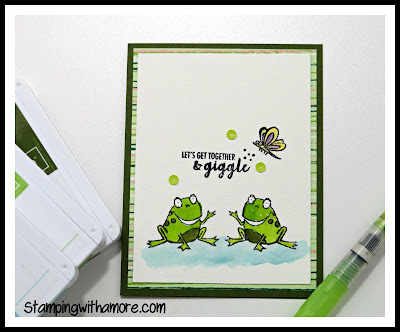 You will love making these Flip Fold cards, if you haven't already tried it! They are super fun. I've seen them around for a long time, but just now tried them and I'm addicted! 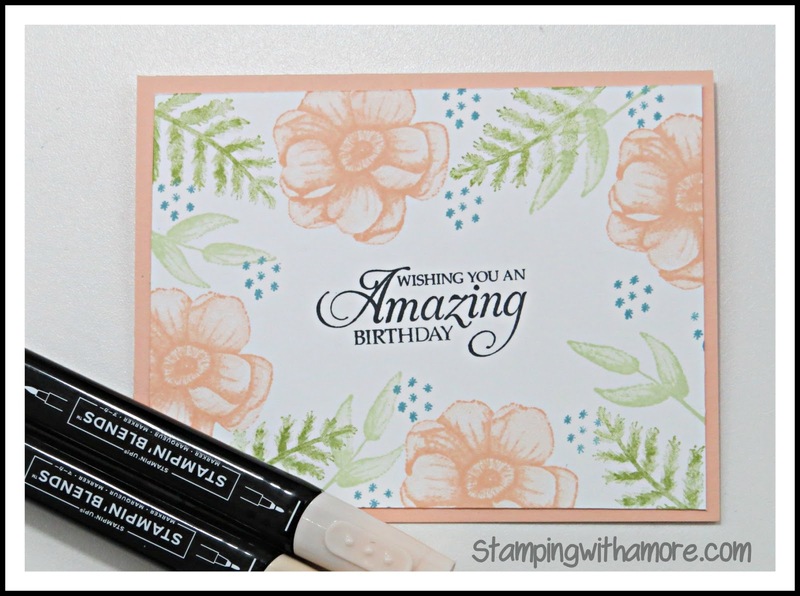 I especially love this one because I'm using the Humming Along stamp set and I would have never picked this stamp set, if I didn't see it at Stampin'Up Convention. This Hummingbird is absolutely beautiful. I just don't pick bird stamps, but Boy, am I glad I got this one! The flower in this set is also very beautiful. Color it the way you love! DOWNLOAD FUN FOLD -FLIP FOLD CARD PROJECT SHEET HERE! I planned on sharing the Beginner Card Wednesday, But I have a appointment Wednesday, so Here it is Today. I also Share a Stepped Up Version of this Card. I love the Stampin'Up Brights Collection and the Colors used in this Card. These are all 3 cards I created. The middle card shown is the stepped up version. I just added some epoxy droplets and a butterfly from the same stamp set, Beauty Abounds. Are they not so cheerful! 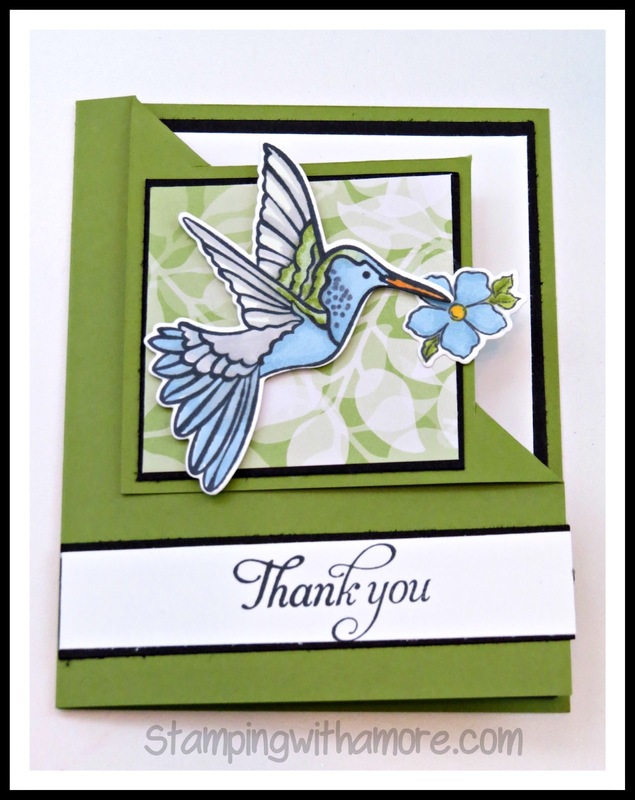 DOWNLOAD BEGINNER SERIES THANK YOU CARD PROJECT SHEET HERE! THANK YOU EVERYONE! HAVE A GREAT DAY! If you have the Be Mine Stitched Framelits, this will be a great treat box for you. If you have a small heart punch, you can do the same. These framelits happen to be the perfect size I needed. The stitching was a added bonus! 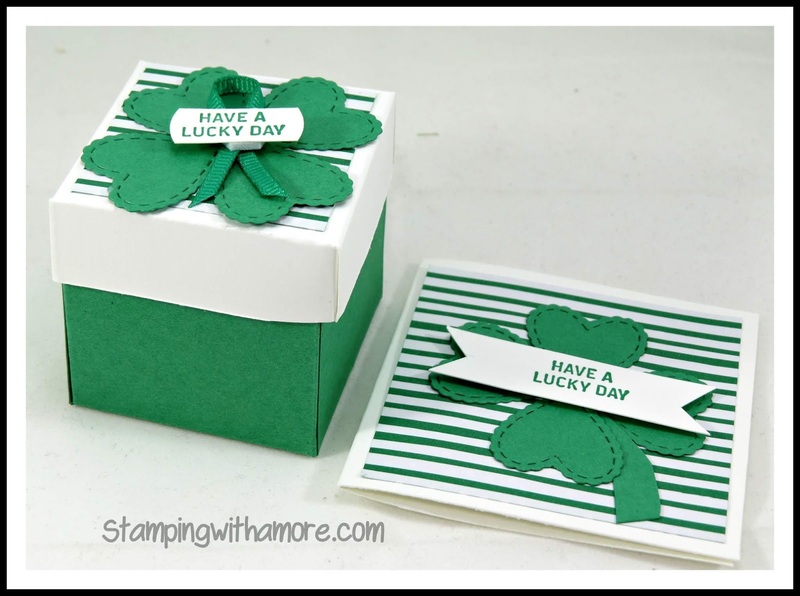 DOWNLOAD THE ST. PATRICK'S DAY TREAT BOX AND GIFT CARD PROJECT SHEET HERE!! 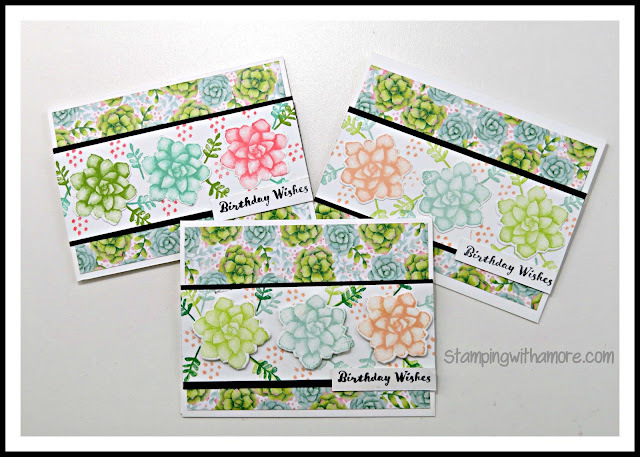 I HOPE YOU ALL HAVE A WONDERFUL DAY FILLED WITH STAMPING! Today I'm sharing my Facebook Live #22. I had to edit this video because I messed up a few times, so forgive the rawness of this video. I'm posting it because I really like this Treat Holder and I thought you might as well! Hope you Enjoy!!! 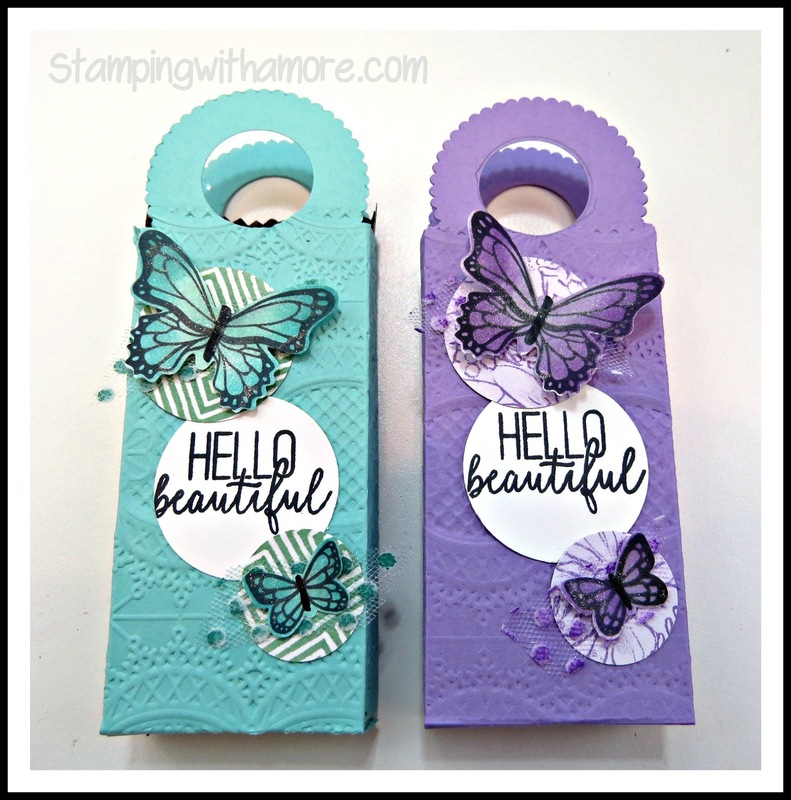 DOWNLOAD THE HELLO BEAUTIFUL BUTTERFLY TREAT BOX PROJECT SHEET HERE! HAVE A WONDERFUL DAY AND A AMAZING WEEKEND! Today is my For the Beginner Series Rubber stamping. This series is for the Beginner, but anyone can recreate these cards. I also show a stepped up version of this card, which I love. I'm using the Painted Season stamp set again. I actually like this card more than my Card I shared yesterday. It's really Clean and simple. Hope you Like it as well! I really like how both of these cards turned out. They are perfect for the new stamper to try something a bit different and get a good result. THIS CARD DOES NOT HAVE A PDF. The measurements are a 5 1/2" x 4 1/4" card base and for the stamping you will need whisper white cut at 5 1/4" x 4". Back again for Technique Tuesday. This week, I'm sharing How to use your Stampin'Up Designer series paper to Inspire your Stamping to make a beautiful card. I don't think I explained myself very well in the video. I just couldn't get it out! :0 The New Bundle that Stampin'Up is offering for FREE with a $100.00 purchase during Sale-a-bration is so beautiful. The images are the Disinktive Stamp set that looks 3D. Just beautiful! I love how these stamps, stamp! 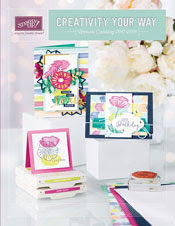 Just Copy You Designer Series paper onto a piece of cardstock and you have a image to add to your card. I hope you enjoy! DOWNLOAD BIRTHDAY TECHNIQUE CARD PROJECT SHEET HERE! Happy Sunday!!! Every time I write that, I think how time flies! Crazy! Right? It's amazing how the older we get the faster it goes!! I hope you are all having a wonderful Sunday, We are once again cold here. One day we have 80 degrees and the next it's high 40. I know those of you who live in the "REAL" cold are probably thinking I'm crazy. I just want consistency!! I welcome the cooler days, but this up and down stuff has to go!! :) Phew! I didn't mean to get on a rant about the weather!! The project today has been in my head for some time, but with Holiday projects and Valentine's Day, I had so much to share I couldn't get this cute guy made! I hope you enjoy him, I thought it was time to cater to a more masculine type treat holder. These guys are so fun to make and very easy at that! You can also use these as a Halloween Treat Holder. Just change up the sentiment, and your off running! DOWNLOAD MONSTER TREAT BAG PROJECT SHEET HERE! HAVE A BLESSED SUNDAY MY FRIENDS! 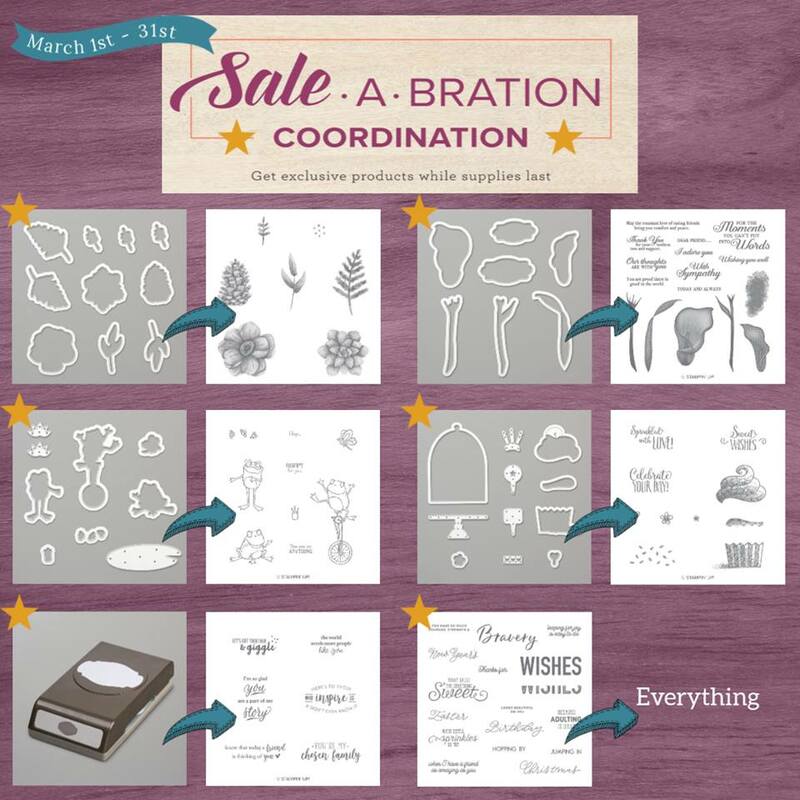 Today, the Sale-a-bration Second Release starts today! Check out the New Brochure! CLICK IMAGE TO VIEW PDF! CHECK OUT THE NEW COORDINATING FRAMELITS! AVAILABLE MARCH 1ST!! is Valentine's Day, So I decide to post a video for the project I would have shared on my FACEBOOK LIVE tonight. A Quick & Easy Baby Favor Treat Holder. I also share a few Bonus Treat Holders I created. I just couldn't stop making them! 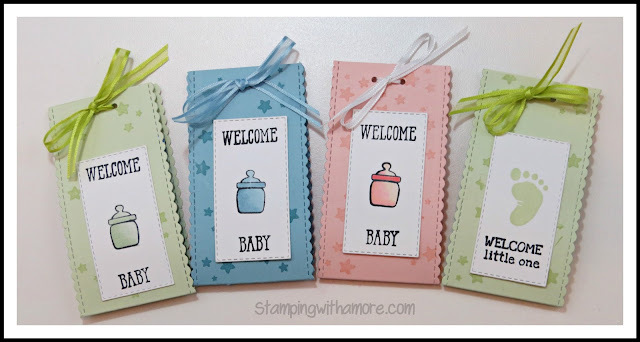 These are the Baby Favor's I created using the First Steps Stamp set and the Well Said Stamp Set. These are the Bonus Treat Holder's I created. I will list the stamp sets in the Supply List that I used for these Treat Holders. The measurements for this Treat Holder is 2 1/2" x 8 1/2". Happy Hump Day! This week is flying by! 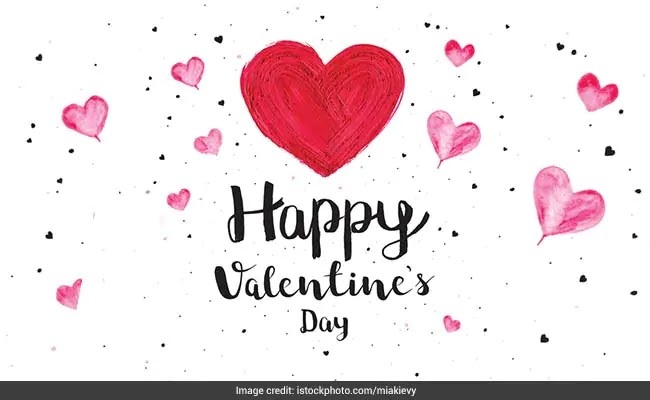 I forgot that tomorrow is Valentine's Day, so I won't be having a Facebook Live, so that we can spend the night with our loved ones! We will resume next Thursday at 7pm Central!! This card is a card for everyone! 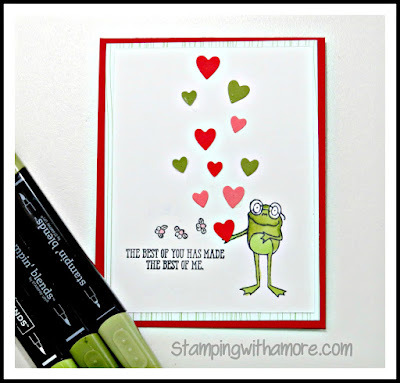 I just love the So Hoppy Together stamp set and it's even better, because it's a free choice during SALE-A-BRATION!!! Even though this card has hearts embellishments, it can very well be done by a beginner. It's simple stamping . Hope you enjoy! These little frogs are the most adorable things. I love every image in this set. 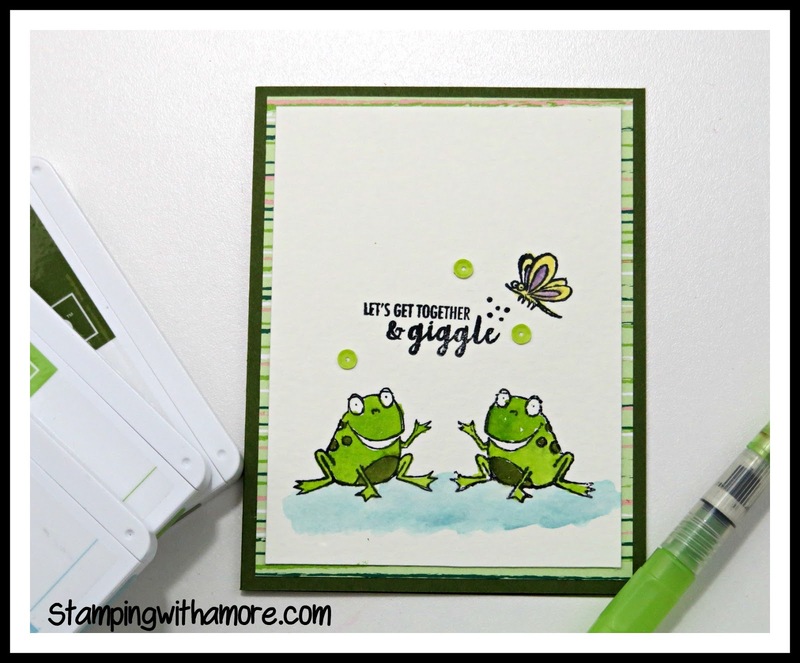 Check out my Card I shared yesterday using the same So Hoppy Together stamp set HERE! This card is using the Mirror Image Technique. You will be amazed how simple this technique is using the Stamparatus! DOWNLOAD THE FROGGY LOVE CARD PROJECT SHEET HERE! 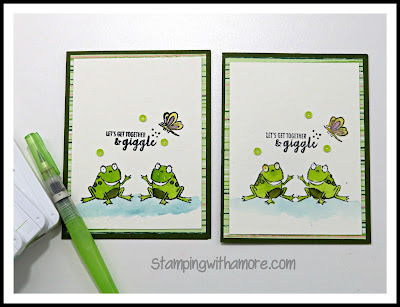 The Stamparatus is one of the best tools out there and today, I'm sharing another Mirror Image stamping Card which I'm doing on Watercolor Paper. Yes, You can Mirror Image on Watercolor paper. The surface is a little bit bumpy, but with the Stamparatus it works very well. I will also share the technique I use for water coloring. 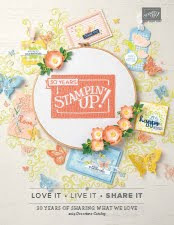 Sale-a-bration, when you spend $50.00 you can get this stamp set FREE. 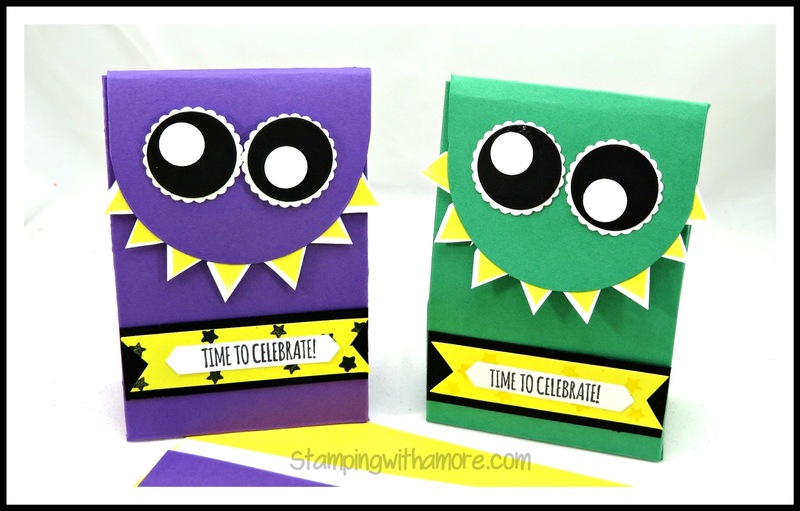 And Guess what, The new Sale-a-bration releases are coming out the 15th of February and They will have the Framelits that coordinate with the Hoppy Together Stamp Set available as a FREE choice. Woohoo! DOWNLOAD HOPPY TOGETHER MIRROR IMAGE STAMPING CARD PROJECT SHEET HERE! HAVE A GREAT DAY MY SWEET FRIENDS! WHO WOULD LIKE TO JOIN MY TEAM? JOIN AS A HOBBY DEMONSTRATOR FOR A DISCOUNT OR AS A BUSINESS TO EARN A EXTRA INCOME!! 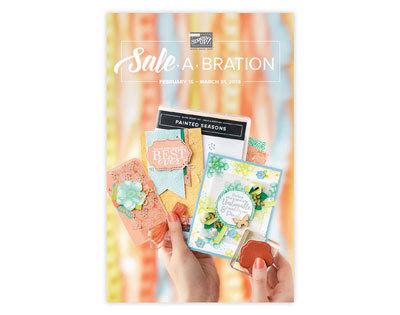 SALE-A-BRATION IS THE BEST TIME OF THE YEAR TO JOIN! EXTRA $50.00 IN FREE PRODUCT AND YOU CAN STEP IT UP THIS YEAR AND GET A AMAZING CRAFT & CARRY TOTE. (SHOWN BELOW IN SHORT VIDEO) JUST $99.00 TO JOIN, $129.00 TO JOIN WITH THE CRAFT & CARRY TOTE!! I HAVE A SMALLER TEAM, SO I CAN INVEST A LOT OF TIME INDIVIDUALLY WITH YOU! I DO BELONG TO A LARGER GROUP OF DEMONSTRATORS, WHERE I CAN GIVE YOU ACCESS TO COACHING AND TEAM SUPPORT. IT'S A GREAT GROUP . YOU WILL MEET SO MANY AMAZING PEOPLE. 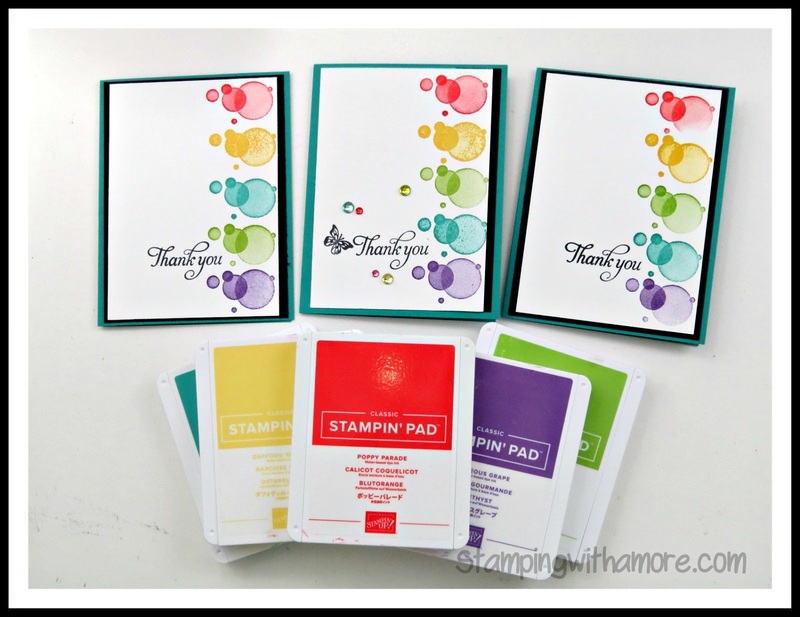 STAMPIN'UP HAS GREAT CUSTOMER SERVICE AND WILL SUPPORT THEIR DEMONSTRATORS. I WOULD LOVE FOR YOU TO JOIN MY TEAM!! 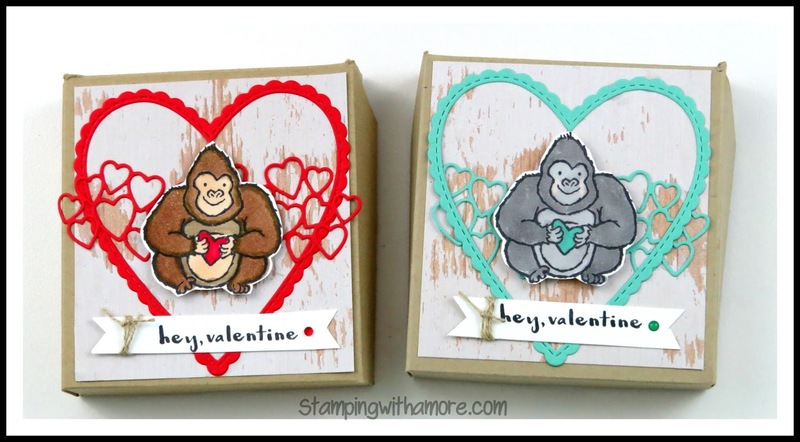 PLEASE CONTACT ME AT STAMPINGWITHAMORE@GMAIL WITH ANY QUESTION. Today, I have another Valentine Treat Box. I filmed this one earlier and wanted to share it, because it's super cute with the Hey Love Stamp set. This ape is the most adorable thing! This set actually can be used for any occasion. How cute is this little guy? I love this type of box. It is more like a bakery box style, one of my favorite to create! The Be Mine framelits are another one that can be used for so many things, a great range of different types of hearts and a whole lot of extras, like this background framelit I used here. I HOPE YOU ALL HAVE A GREAT SUNDAY FILLED WITH MANY BLESSINGS! 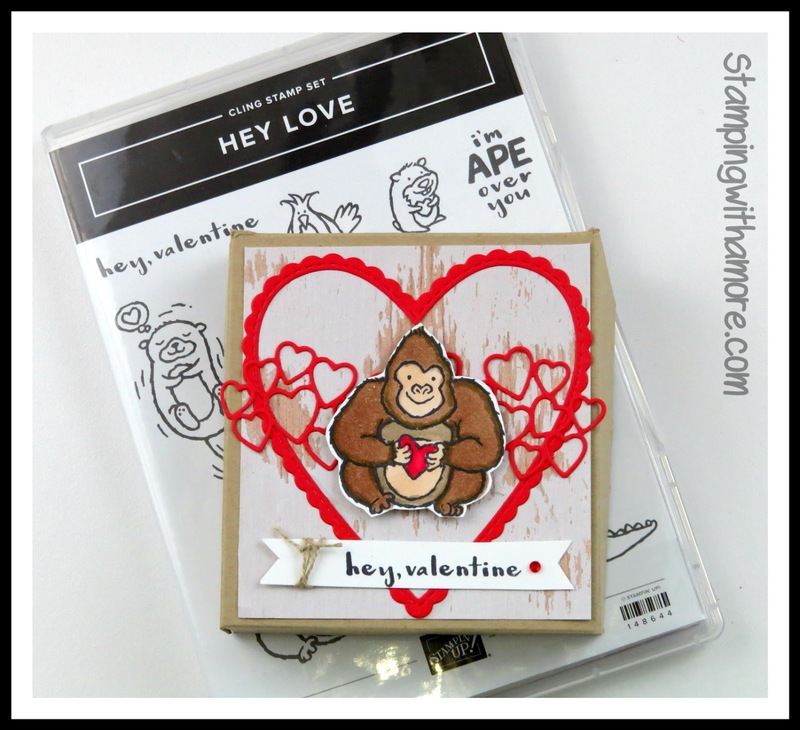 DOWNLOAD HEY LOVE VALENTINE TREAT BOX PROJECT SHEET HERE! Just wanted to share last weeks FACEBOOK LIVE #20. I can't believe I just did my LIVE #21. If you haven't come to Join me on my FACEBOOk on Thursday at 7:00 Pm Central, You need to come see the projects I'm sharing! I don't always get to post them all, so you are missing some great fun and crafting projects. Every week, I have new ladies join! Come see me!! This is a Fun Bundle to have, I will be sharing more using this Bundle Soon ! Super Cute! Let me know what you think of my New Video Thumbnail and Intro! I'm curious what you all think! 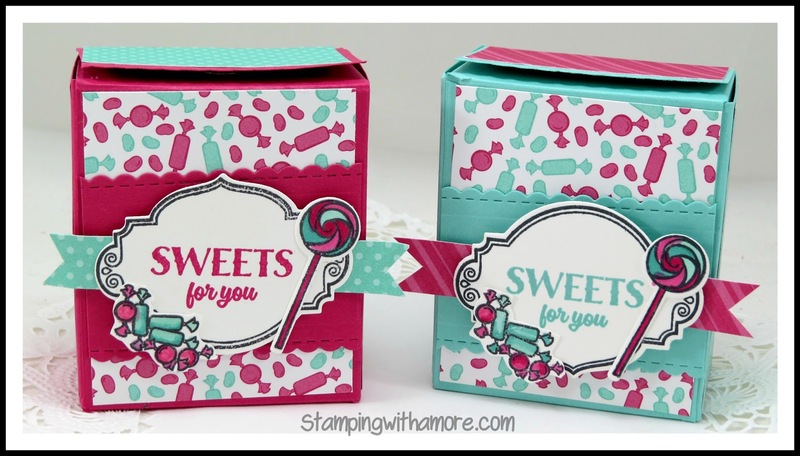 DOWNLOAD THE SWEET TREAT BOX PROJECT SHEET HERE! How is everyone doing? It's Wednesday again! I cant believe how this year is flying by! Today is the For the Beginner Series and I'm sharing a #simplestamping card and a Stepped up version of the same card. Any level stamper can create! 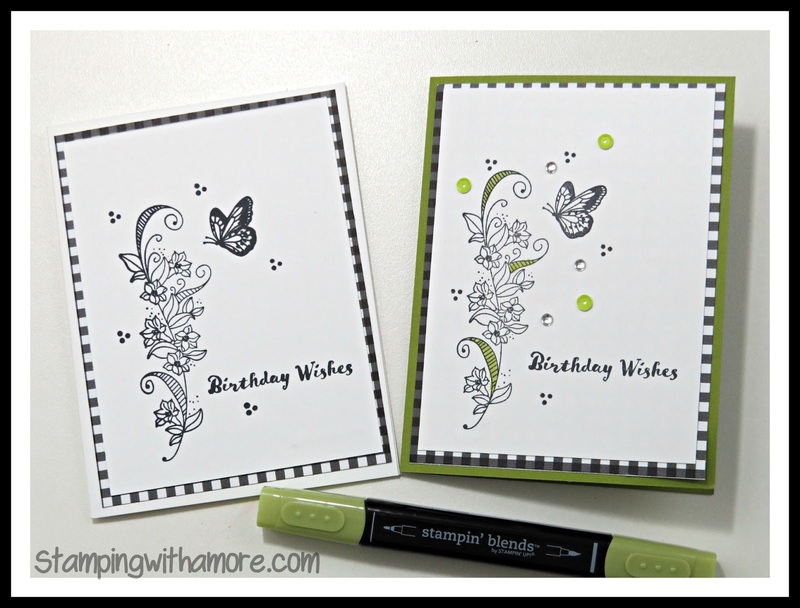 These cards are so Quick & Easy, perfect for a new stamper. The Beauty Abounds stamp set is so beautiful, along with the framelits that coordinate with this set, although I did not use the framelits on this card. I really like both the simple version and the stepped up version of this card. MAT: 4" X 5 1/4"
STAMP PIECE: 3 3/4" X 5"
HOPE YOU ALL ENJOY YOUR DAY! 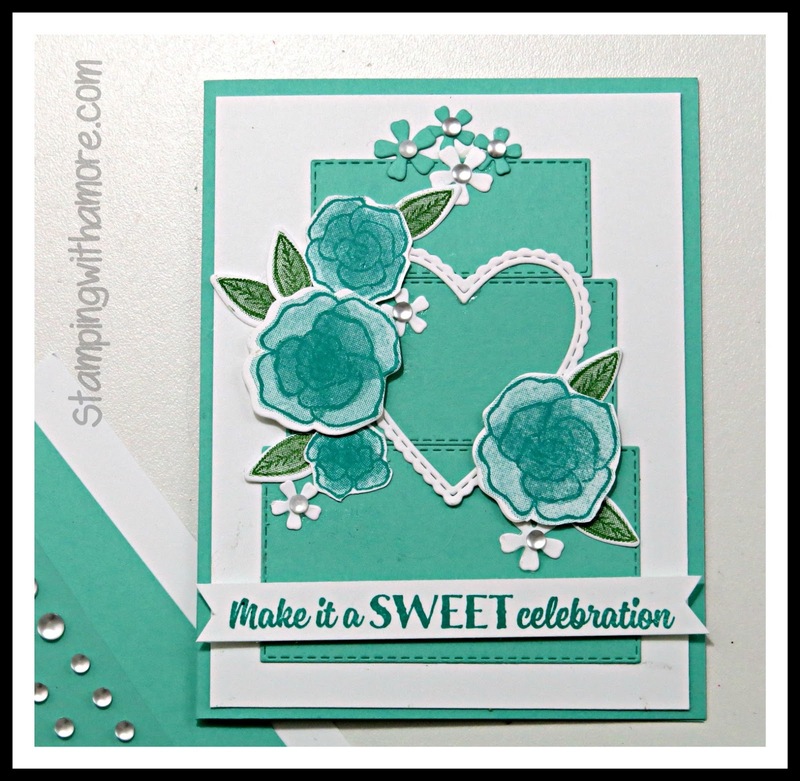 I'm using the NEW Rectangle Stitched Framelits for this card today. I want to show you how you can use these framelits to make a Cake for a Special Occasion Card, Super Quick & Easy. 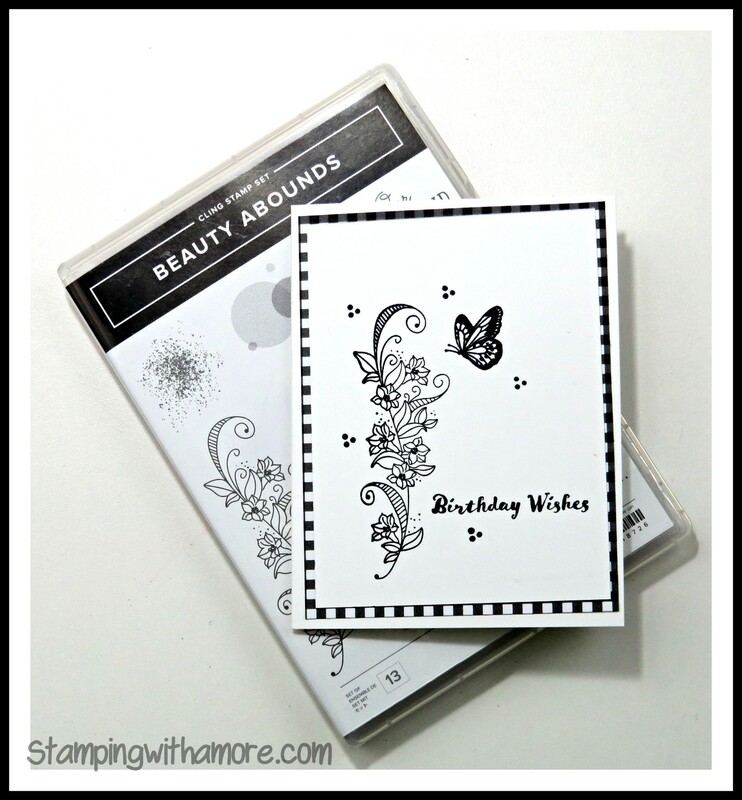 Embellish the cake as you like, But the Forever Lovely Stamp set is perfect for this card. 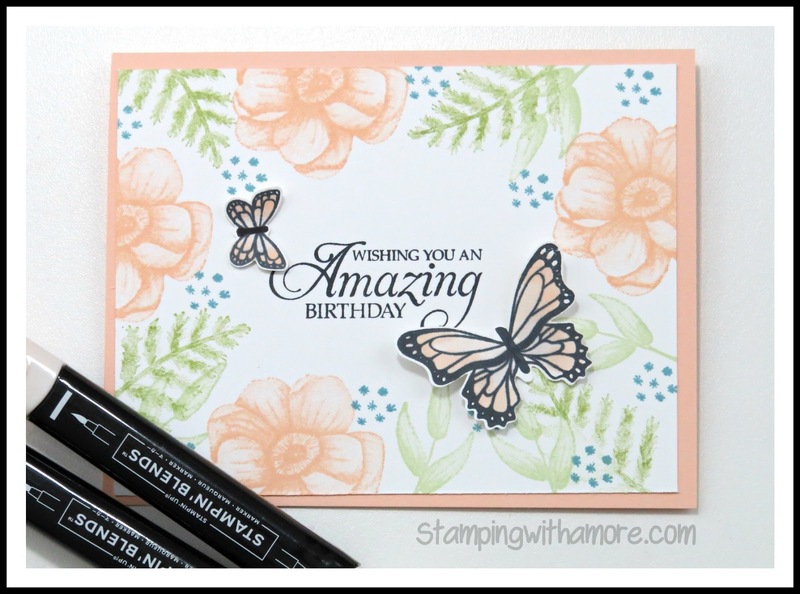 It's a beautiful stamp set for all Occasions. One you will use for a long time. This card was so fun to make. It can be used for any Special Occasion. A wedding, Anniversary, Birthday, Mother's day and so much more! Change up the sentiment to fit the Occasion. Stampin'Up has the best cardstock, ink coordination out there. I haven't found any that you can use to match perfectly or just by using another ink close to the color to enhance the look. DOWNLOAD THE SPECIAL OCCASION CARD PROJECT SHEET HERE! THANK YOU FOR VISITING EVERYONE! COME AND JOIN MY FACEBOOK LIVE'S ON THURSDAY AT 7PM CENTRAL!!! Hope everyone's day is going well! Many Sunday Blessings to you all! I'm not sharing a Valentine's day project today, although, I still have a couple to film for you. This one is so fun, because I absolutely love this stamp set and FREE framelits. I can see a Mother's Day project coming from this stamp set and framelits as well. This would be also so cute for a little girls tea party or a Princess Birthday Party! When creating this, I talk about Mirror Imaging technique for the back of this Treat Box. I have linked the video in this video if you are interested in seeing how to do this. 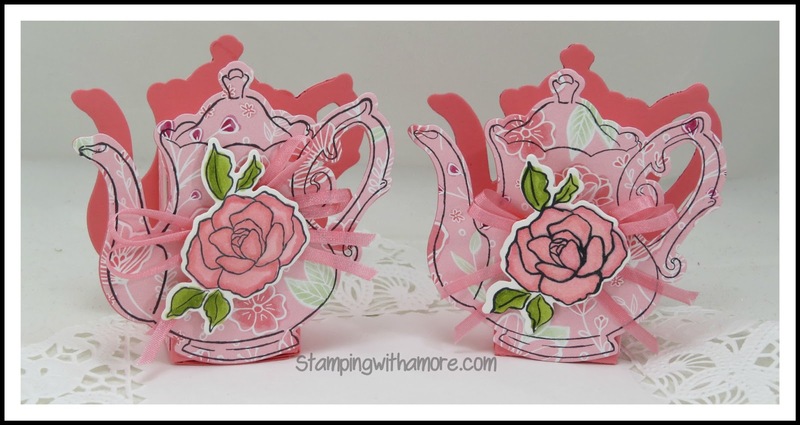 DOWNLOAD THE TEA POT TREAT BOX PROJECT SHEET HERE! HOPE YOU ENJOY THE TUTORIAL TODAY!